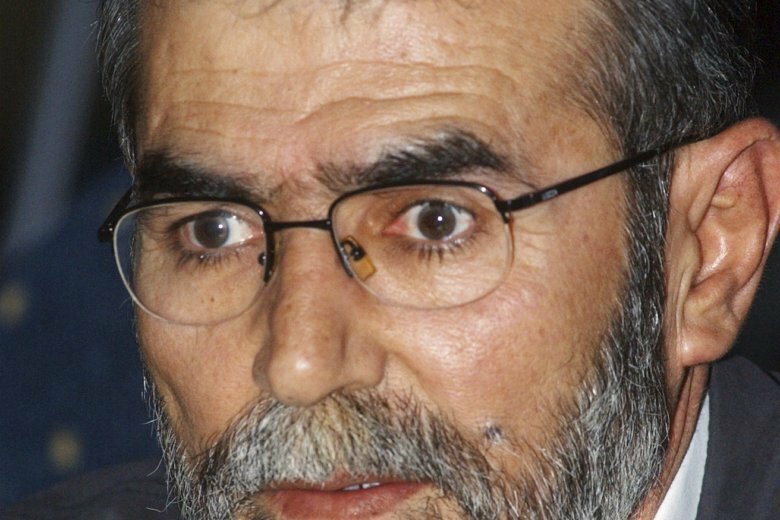 File - In this Thursday, Oct. 12,2006, file photo, Ziad al-Nakhalah, attends a policy preview meeting by Hamas leader Khaled Mashaal in Damascus, Syria. The group said Friday at a news conference in Gaza that 65-year-old Ziad al-Nakhalah will head the group's secretly elected politburo, replacing longtime leader Ramadan Shalah. (AP Photo /Bassem Tellawi). GAZA CITY, Gaza Strip (AP) — The Iran-backed Palestinian militant group Islamic Jihad says it has named a new leader. In 2014, the U.S. State Department designated al-Nakhalah, then the movement’s deputy chief, as a “Global Terrorist” for encouraging attacks against Israel.